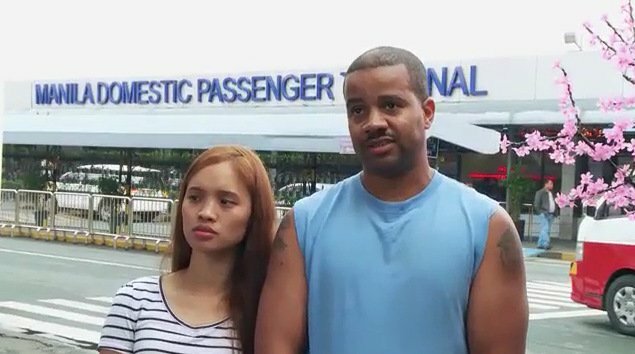 What have we done to deserve the beautiful disaster of 90 Day Fiance: Before The 90 Days? Ah, who cares! Let’s just warm our hands by the soft glow of this dumpster fire and congratulate ourselves on every life decision we’ve ever made. Because if that isn’t the point of this show, I don’t know what is. Last night, we saw desperation and delusional thinking at its finest. We also saw a pink tank top continue to do the noble work of a 48-hour shift, containing Angela within its weary spandex threads long enough for her to rip Michael several new bung-holes. Before we get to them, let’s check in with Rachel and Jon, the two most self-absorbed “victims of love” to cry many tears on national TV. Now that Rachel is back in Albuquerque, she needs to face reality – with the help of an immigration attorney (FINALLY). After Skyping with Jon at home to trade googly eyes at one another and mutually lamenting how much “the world is against them,” she heads out to a lawyer’s office for advice. What Rachel finds out there is not happy news, however. During a Skype call to Jon, the lawyer, Rebecca, tells our fair couple that they are facing at least three years (or more) of separation AFTER they get legally married. Why? Well, it seems immigration to the U.S. ain’t that easy for convicted felons, especially ones with the lengthy history of violence Jon has. Undeterred, Rachel says she’s heading back to England in two weeks to marry Jon, and she doesn’t care what anyone thinks. 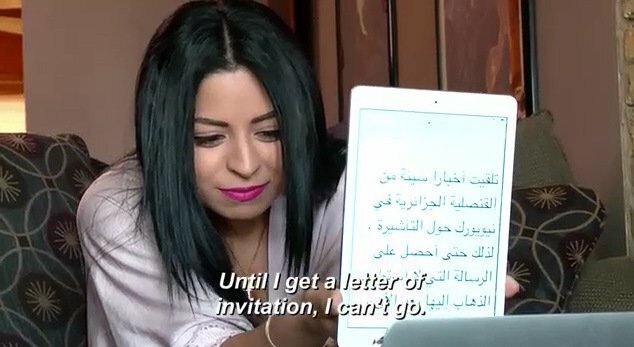 She also apparently doesn’t care that none of her friends and family can be there – including her eldest daughter, whose father won’t let Rachel take abroad. OMG, lady. ARE YOU NUTS?!? 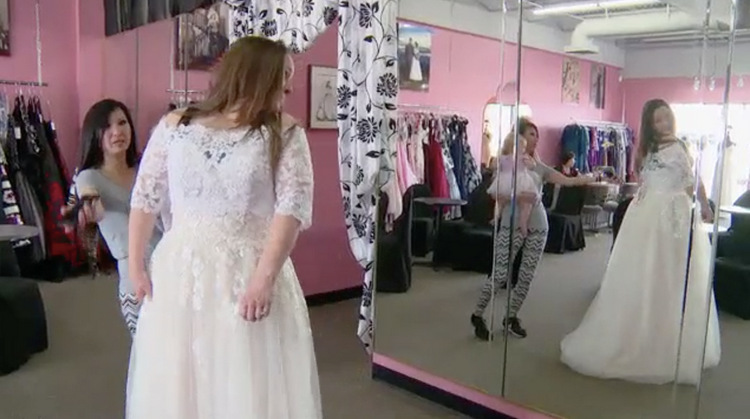 After Rachel’s friend and bridal gown shop employee help her find the dress of her dreams – or at least one she doesn’t feel insecure in – Rachel can’t afford the $700 price tag anyway. So she leaves in defeat. Maybe she’ll just have to get married in that sad-sack sweatshirt she wore for a week straight in England? I mean, it’s practically part of the landscape now. Which is to say, it’s perhaps one notch below Ricky’s fanny pack and one notch above Tarik’s entire wardrobe. It’s time for Marta to pack for her trip that will never happen to Algeria, and her kids are sad to see her go, but will be in the care of psychic-loving grandma. So, it’s cool. 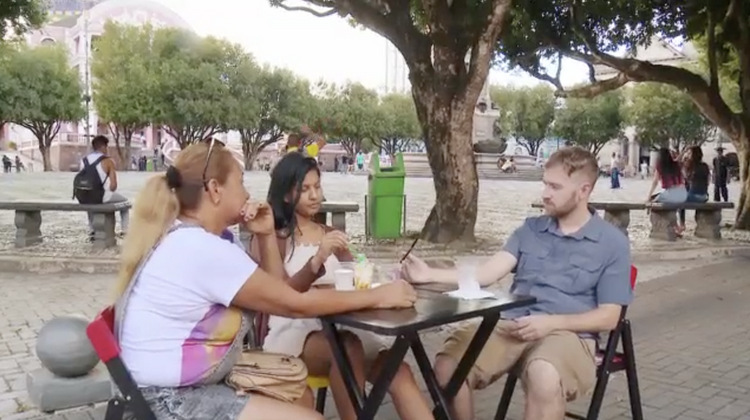 Turns out there’s a hitch in Marta’s travel plans when she learns that she’ll need a personal invitation from Daya to enter his country, however. No problem, right? She’ll just call her ONE TRUE LOVE up to make a simple request. When Marta finally connects with Daya on Skype, we get an immediate sense of two important facts: 1) Daya can speak nary a lick of English, and 2) He seems like a raging a$$hole. After he reluctantly agrees (with the help of written translations) to draft a letter for Marta, Daya angrily points to her necklace – a cross. Marta coyly asks, “Do you like my necklace?” He huffs and puffs and starts spewing complaints to someone off screen (who the eff is he talking to? ), telling Marta “I AM MUSLIM!” and will not accept her flaunting her Christianity/Catholicism in his face. Ummmm…is this new information to Daya? Or is Marta wearing the necklace to rattle him on purpose in some twisted plan to get dumped? Whatever the case, Daya hangs up on her giggling a$$ before she can argue. “He’s mad,” she says, seeming like this type of behavior is par for the course. Okay, Daya officially SUXXXX. Hell bent on proposing to Hazel before he flies back home, Tarik takes her to a romantic resort (and away from Brother Dean) to test their bond. As a reminder, their “bond” thus far has consisted of 4 days together, matching mesh-and-plaid shirts, and a 6-hour Pentecostal church service in which Tarik almost vomited/fainted. So, next steps! The next day, the sun shines on this sad-sacky couple again though, and hope springs eternal in Tarik’s heart when he and Hazel truly have fun on jet skis. Tarik notes that “it’s literally sink or swim” on this date since neither of them can swim. (In which case, I’d then ask, isn’t it really sink or…sink?) But, nevermind! Because they both manage to get romantic while strapped into orange life vests. Hey, look who’s still in a Nigerian hut! And look who’s still wearing that pink tank top! It’s Angela! “Michael, don’t TOUCH me,” she growls as she wakes up, not having fled the resort the night before like she threatened to. 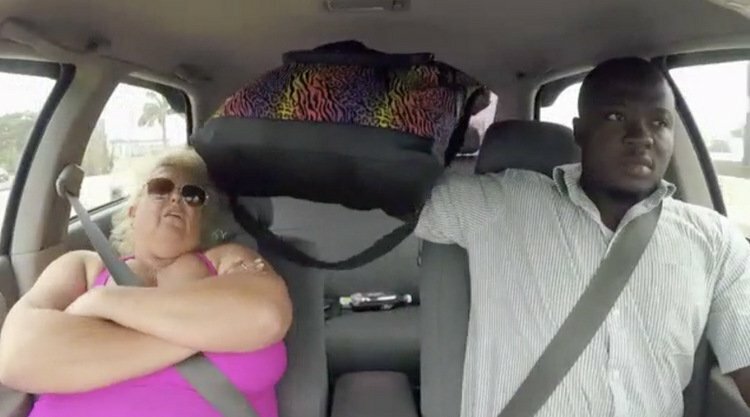 As it turns out, only Michael can get her out of there, so she’ll have to ride all the way back to Lagos with him. As Michael attempts to beg Angela for another chance, she reiterates how much she hates his a$$ now. “All you do is lie,” says Angela, who will have to stay in Nigeria until further notice because she can’t afford to change her flights. Um, try again, Michael! When Angela balks at his many botched attempts at verbalizing his love, Michael resorts to the Hail Mary of ALL Hail Marys: Simple Carbs. He’s ordered a grocery store cake, ya’ll! And this is apparently the magical key to unlock Angela’s heart. Giggling with delight and she attacks the cake like machete-armed Brazilians attack a TLC crew, Angela agrees to give Michael another chance. Michael beams with pride, envisioning his MAGA gear being returned to him, smelling only slightly of Marlboro Reds. Until Angela growls at him that “she’s gonna put this icing some place special later.” Aaaaaaiiiiieeeeeee! MY EARS! MY EYES! This is all one giant NOPE. Finally, Ximena returns because production forced her to, reluctantly allowing Ricky to finish his sordid tale. 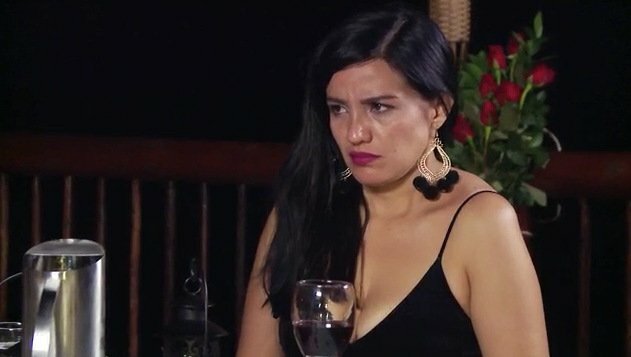 But holy sh*t there’s a lot lost in translation because when Ximena asks, “So you ate dinner, then ate each other too?” about Ricky meeting Melissa, Ricky stupidly chirps, “yes!” She’s all, QUE?!? QUE?!?!?!?!?!?!?!? After Ricky clumsily backtracks, he tries to tell Ximena that SHE’S the one he loves now and SHE has his heart forever, blah blah blah. Crying, Ximena doesn’t even know what to believe anymore. All she knows is she’s stuck out here on this island with a man who looks like a big toe and tells lies like it’s his job. The next morning, Ximena seems to have a change of heart though, which is grossly disappointing to viewers in particular, and the female population at large. Ricky apologizes again and asks to start fresh. After a bit of pushback, Ximena agrees to continue their “relationship.” I mean, she’s put in a solid 64 hours with this idiot already, so what’s a few more? Ricky looks very pleased with himself, imagining the platform shoes he’ll put on later that night to dance his way back into Ximena’s heart. Ricky, my man: YOU NEED TO BE VOTED OFF THE ISLAND. Sincerely, Women Everywhere. 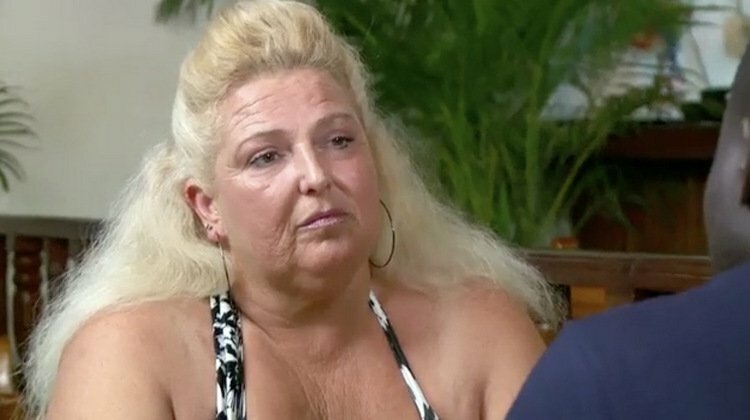 But all of mom’s advice is forgotten when Paul gets a call later telling him Karine is at a local clinic and needs him to join her immediately. Once there, Paul is told that Karine might be pregnant, but the blood tests aren’t back yet. As they wait outside together, Karine and her mother give Paul the long, cold stink eye. No FALLA needed. 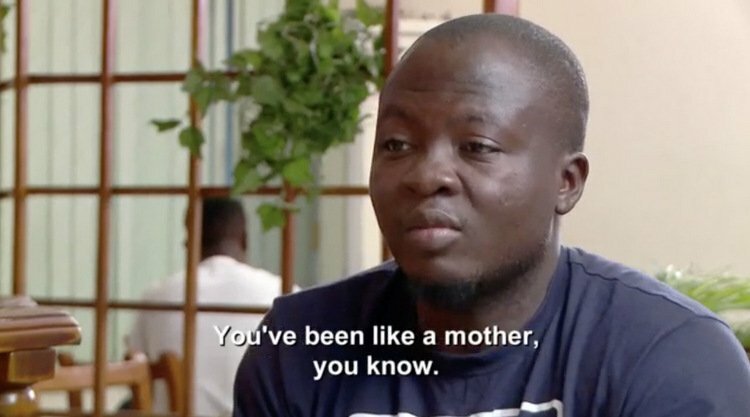 Even when he desperately attempts to use Siri as his mouthpiece – “I will love Karine and take care of this baby!” – Mother Karine just fires back that she doesn’t care whether Paul stays or goes. She and Karine will take care of Hairball Jr. all by themselves if need be, thankyouverymuch! Because the delusional is REAL, Darcey has been sitting around in the U.S. for months after Jesse’s departure hoping that their relationship is “growing.” “Things are really tense,” Darcey says, admitting to her cousin Monique at the hair salon that the trip was pretty much a disaster. And they fought in front of her kids, which Darcey initially said was a deal breaker. Jesse has conscripted some poor, hapless friend into meeting him for drinks and listening in horror to his dastardly plans. Here’s the gist: Jesse wants to dump Darcey, so he plans to fly ALL THE WAY BACK TO AMERICA to do the deed in person. Jesse’s friend is like, Yo – there are cheaper ways of breaking up, dude. 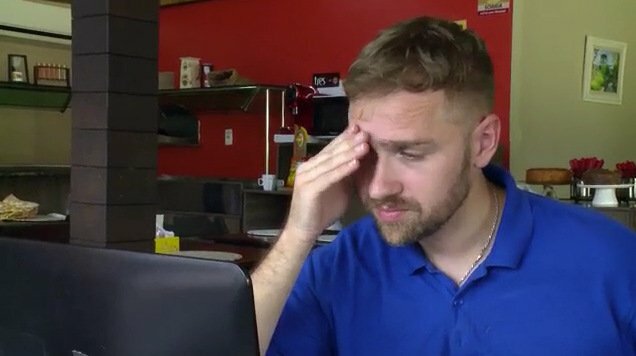 But Jesse is hell bent on 1) being as evil as possible, 2) maximizing his camera time, and 3) trying to convince the viewing public that his “integrity” and “honesty” prohibit him from breaking up with Darcey from a distance. Damn. Jesse is going to cut this relationship ON THE BIAS, and we’re all going to get a front seat for the sh*tshow. As Jesse makes his way to the city after landing, he tells us there’s no way he will continue a relationship with Darcey after hearing about an “incident” she was involved in these past months. Hmm. Is he referring to the physical assault between Darcey and her twin, Stacey, that resulted in an arrest? Or is he referring to the mouthful of shiny, new chompers he caught a glimpse of on ye old Instagram? Looks like we’ll have to wait until next week to find out. Hide yo kids! Hide yo wife! Something psycho this way comes. TELL US: WHO IS THE MOST DESPERATE CASE? WILL DARCEY ACCEPT THE BREAKUP? IS HAZEL REALLY FALLING FOR TARIK? CAN XIMENA FORGIVE RICKY?